Has your RV been affected by storm, hail or flood damage, or does it need structural or electrical repairs carried out? With a team of qualified cabinet makers, electricians, plumbers, gas fitters and service technicians our service team are able to repair your RV to get you back on the road. 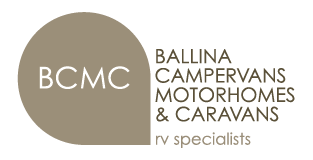 We are able to provide quotes and offer repair services on all major RV brands. To find out more, call us on (02) 6681 1007 or email service@bcmc.com.au.